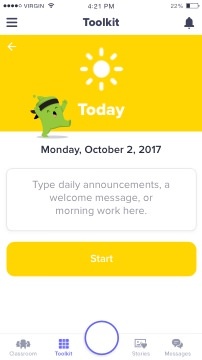 Have morning work, a welcome message, or other announcements? Display these morning announcements as students walk in. 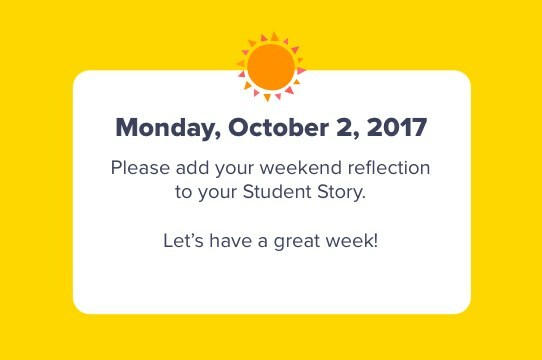 "I love making sure my class knows what to expect each day. 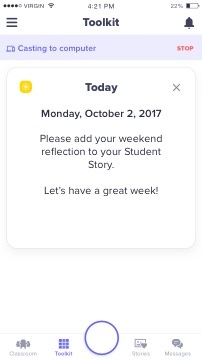 I use the Today app to let them know about the big activities and projects we'll tackle together!" 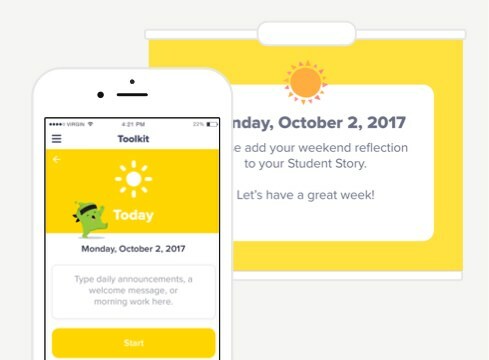 ClassDojo Toolkit is free and is part of the ClassDojo app. Simply download the app to get started!